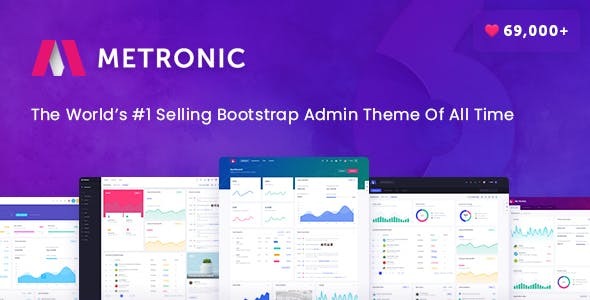 Metronic is a responsive and multipurpose admin powered with Twitter Bootstrap 3.3.7 & AngularJS 1.5 frameworks. Metronic can be used for any type of web applications: custom admin panels, admin dashboards, eCommerce backends, CMS, CRM, SAAS. Metronic has a sleek, clean and intuitive metro & flat balanced design* which makes your next project look awesome and yet user friendly.